Well, thank you for agreeing to do this, man. If my voice sounds shaky please forgive me. This is my first interview with one of my musical icons. The first Circle of Dust album I got was Disengage which, ironically, was your last album as Circle of Dust. So after almost twenty years what inspired you to re-release all of the old material and resurrect the project? Well, it was something I would’ve never considered ever doing. I distanced myself from that project on many levels and just kind of walked away from it. Celldweller being my main focus, that’s all I ever really wanted to talk about and focus on. And what really changed all that was after years of trying to buy back the rights to my first five albums, finally we managed to find a way to be at the right place and the right time. We pled our case and the people said, “Okay, we’ll sell you the rights to your albums,” for a fraction of what they originally had told me they wanted for them. And that experiment turned into me producing a song called “Exploration” which was on the very first pressing of my very first album, which I later re-released and I dropped that song off the album so it was a song a lot of people hadn’t heard. So once I did that test I said, “Wow, I know so much more about producing now than I did back then.” I wondered what new material would sound like and that led me down the path of beginning to produce what I thought new Circle of Dust would be, and before I knew it I was committed to doing a full album because I was so excited about being able to actually do that and make it sound like I wanted to back in the late eighties and early nineties. Which album meant the most to you to be able to remaster? Um…I, I don’t know, I still don’t really like a lot of those albums. They just represented a certain point in my life. I was more excited about the ones the fans were excited about and as it turns out different people were excited about different albums. But I think the one we got the biggest response on was Disengage because it was the last album I did. 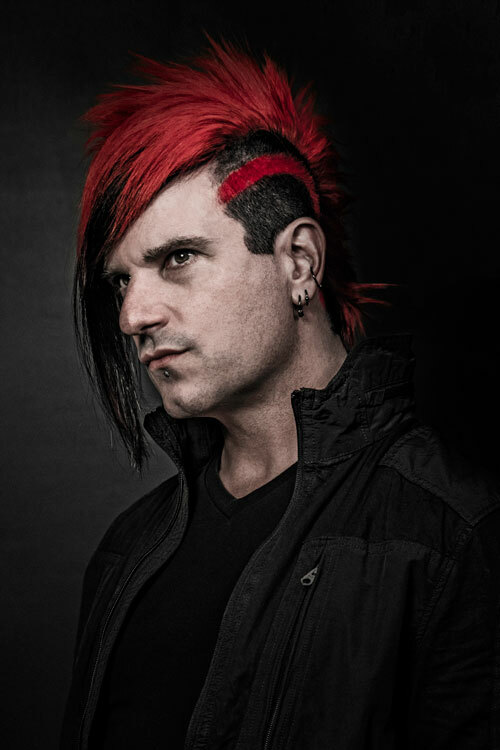 It was musically probably most connected to the sound of what Celldweller would become because it was two years, I think two years or three years before I started writing the first Celldweller album. So sonically, the vibe of that album was more similar to Celldweller so I probably was most excited about getting that out there because the fans were really excited about that release. Well, I would definitely be one of those. “Mesmerized” being one of my favorite Circle of Dust songs and the acoustic version of that song was just amazing. Oh, so you got that on the re-release because that was never with the original. I had old material that people had never heard and that was part of this, for people like you who liked the albums back then. I would have never considered releasing this stuff but I starting going through my old dats, remixes, even some cassettes in some cases and resurrecting those old things to release them. So I’m glad you enjoyed it, that’s good news to me. The second one I was probably most excited about was Argyle Park. I had the original CD that I bought for an expensive price online. I also know you had a couple of things to do with AP2. You had quite a lot of bonus material with the Argyle Park re-release. What are the chances of a new Argyle Park album with new guest musicians? Probably slim to none. Argyle Park was really, at the time, I just wanted to break away from Circle of Dust and do something else that was completely different and was pretty much just an excuse to hang out with my old friend Buka. We were childhood friends and it was like, let’s just do this for fun. So that was just really a one off album and we ended up getting a whole lot of guests on there which I thought was really cool, but the reality is if I’m going to pull in guests it would be on new Circle material or Celldweller or whatnot. Going back and listening to your old material, how do you feel you’ve evolved as a musician? Well I don’t really go back and listen to my old material. The only reason I reconnected with it recently was because of all the remastering and having to listen to all the stuff. So hearing the mixes it was pretty clear that I have learned things over the years, and thank God because if I was producing and my stuff still sounded like it did in the nineties then I probably shouldn’t be making music. So hopefully I’ve progressed in my ability to produce, to make things sound a little more clear. Songwriting, I hope I’ve developed a bit more. I guess that’s all relative. But I don’t know, I never really look at anything I do and compare it back to anything I’ve done. I finish a project and I’m like, what’s next? That’s what I’m focused on as opposed to comparing it to anything I’ve finished even if I finished it yesterday. I’m over it and I’m like, what’s next? So I would leave that more up to fans and to have them debate that argument. Just by telling us about you having to buy back the rights to your old material, obviously in your musical journey you’ve had to come through a lot of obstacles. So what are some of the coolest things you’ve learned about yourself in the process? I’ve learned that I’m dumb (laughs). Really, really dumb because if I was smart, when I hit these obstacles that crossed my path in my career I probably would’ve quit. But apparently I’m really dumb because I didn’t quit and I kept going. And that’s why I’m still making music because there was no back door, there was no escape plan. Every time I hit a wall – my first label going bankrupt on me, my second label basically sold me before I even released an album, my third label which was for Celldweller basically same thing: sold it and required me to give them back all the money they had advanced me to get myself out of debt. I had to basically pay all that back. I mean, there are so many stories and they’re scattered all over online and I’ve told them a number of times. But there are a lot of people who when they hit those adversities would have given up, because it does seem like insurmountable odds being able to overcome those things. I guess I learned that I was committed to the point of not really having the option of giving up. I could have just said, “Well, this isn’t working out I guess I’ll get a day job.” So that is probably the thing I have learned the most and has stuck with me and I say it quite often. How do you think all of that has helped form the new album? Well, the fact that there is a new album, I guess, is the answer because if I had given up I wouldn’t even be making music. So at this point, thankfully, I have found my niche and figured out what I can and can’t do, and make music my full-time gig so I was much less worried about whether the album was a success or failure. I mean, it doesn’t really matter because I’ve always made music for myself anyway because you can’t really make everybody happy. All I’ve ever tried to do is do things that make me happy and hope that it connects with people who feel the same way and, as it turns out, that has been the case. So doing this album now there’s a lot less pressure as far as performing, or whether or not it’s going to succeed or fail. It doesn’t really matter because it’s just something to do and something I knew I’d enjoy doing, and I’m hoping the by-product will be that there are people who feel the same way. Your new album is called Machines of Our Disgrace. What should fans expect and what are you hoping fans will get from it? I’m hoping they get whatever they want, or whatever they expect from the music. I don’t try to impose, lyrically or musically, any specific agenda that I would hope people would get. I discuss topics that are relevant to me and I hope people can relate to them or find some meaning in them that can relate to them. But the album was going back to old-school technology and production methods, but it’s a much more updated fashion. So what I hope people will get is basically the music I was making in the nineties, which was pretty heavy industrial kind of stuff, but with a much more modern flare. There’s a lot more melody in it but there’s also a lot more screaming across the board. It’s basically what I was doing but amped up a bit. And could fans hope for a Circle of Dust tour? Um, I would never say they couldn’t hope for it, but the reality is that will never happen. But I have addressed this question in the past by basically saying if I do a Celldweller tour in the future there’s probably a good chance that I will bring special guests along with me, those being Circle of Dust and Scandroid. So a Celldweller show may end up becoming a show that contains three of my projects versus just the one. You being the mind behind Circle of Dust and Celldweller, both projects being in the industrial genre, what would you say the main difference is between the two? Celldweller pulls from more of the modern stuff. When I was writing Celldweller I was listening to a lot of drum and bass which was kind of a new sound coming out of Europe, a lot of psychedelic trance which was coming out of Israel and places like Brazil and India. So I was pulling much more from modern electronic, whereas Circle of Dust is intentionally darker, heavier, a lot more samples as far as like dialogue clips from movies and stuff like that. So Celldweller is probably more polished, Circle of Dust is dirtier and rough around the edges. What would you say has been the most challenging part of your career? So that’s a daily thing and that’s how you get to the next level of whatever you’re trying to do: by overcoming yourself. Keep making music, keep doing it and you will find your audience. Man, Klayton, thank you so much for your time. 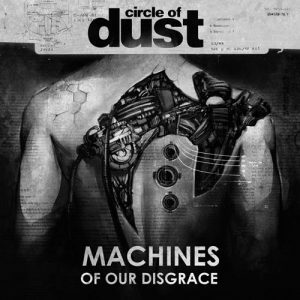 For readers who would like to know more about the new Circle of Dust album, check out my Machines of our Disgrace review. 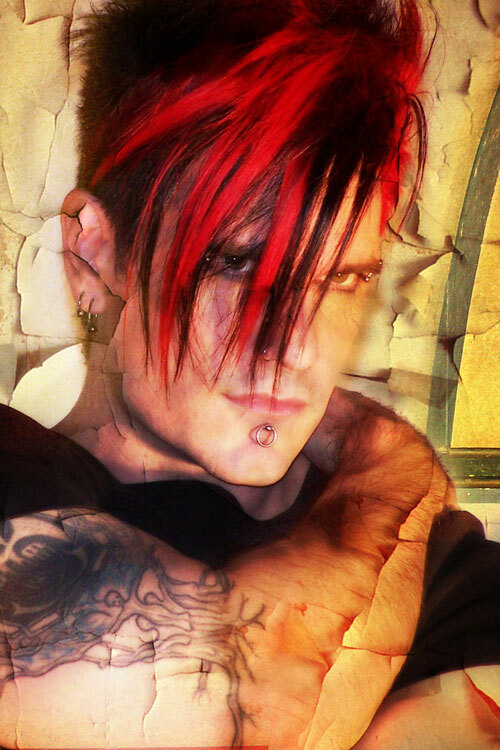 And for more updates, follow the Circle of Dust Facebook page and/or Klayton’s personal twitter, @celldweller on Twitter.